Meet Sunny Sunny has been a resident of the Miami County Animal Shelter for several months and is looking to get her forever home. She is a very sweet girl who needs someone to be patient and kind to her. She came with a rough past, but with an understanding and patient person, she will be the perfect loyal companion you have always looked for. If you would like to come see Sunny, please stop by and take some time to get to know her. Staff will accept temporary applications for her at this time and want to find the best fit for her. Come see Sunny today and see if she could be your Sunshine that can make you happy when skies are grey. If you would be interested in this dog, or one of the other dogs and cats that need forever homes, visit 1110 N. County Road 25-A, Troy, call (937) 332-6919, or email mcas6919@yahoo.com for more information. Visit www.co.miami.oh.us for more adoptable pets. Sunny has been a resident of the Miami County Animal Shelter for several months and is looking to get her forever home. She is a very sweet girl who needs someone to be patient and kind to her. She came with a rough past, but with an understanding and patient person, she will be the perfect loyal companion you have always looked for. If you would like to come see Sunny, please stop by and take some time to get to know her. Staff will accept temporary applications for her at this time and want to find the best fit for her. Come see Sunny today and see if she could be your Sunshine that can make you happy when skies are grey. If you would be interested in this dog, or one of the other dogs and cats that need forever homes, visit 1110 N. County Road 25-A, Troy, call (937) 332-6919, or email mcas6919@yahoo.com for more information. Visit www.co.miami.oh.us for more adoptable pets. 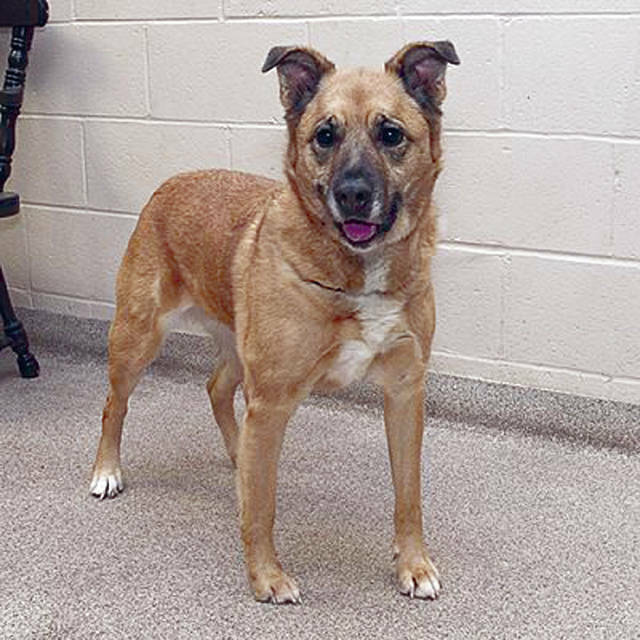 https://www.dailycall.com/wp-content/uploads/sites/30/2019/04/web1_Sunny.jpgMeet Sunny Sunny has been a resident of the Miami County Animal Shelter for several months and is looking to get her forever home. She is a very sweet girl who needs someone to be patient and kind to her. She came with a rough past, but with an understanding and patient person, she will be the perfect loyal companion you have always looked for. If you would like to come see Sunny, please stop by and take some time to get to know her. Staff will accept temporary applications for her at this time and want to find the best fit for her. Come see Sunny today and see if she could be your Sunshine that can make you happy when skies are grey. If you would be interested in this dog, or one of the other dogs and cats that need forever homes, visit 1110 N. County Road 25-A, Troy, call (937) 332-6919, or email mcas6919@yahoo.com for more information. Visit www.co.miami.oh.us for more adoptable pets.